Austin, Mary. Song Makers. In North American, 194:239-47 (August 1911). Songs of the Paiutes; no illustrations nor music. Austin, Mary. Songs of the American Indian. In Harper, 143:77-80 (June 1921). Songs of the Southwest. Amy Beach's Music on Native American Themes, review by Adrienne Fried Block in American Music 8:2 (sum 1990), pp.141-166. Best, Agnes. A Study of Games and "Rhythms of the Indians of North America Which May be Correlated with Special Studies in the Second Grade. M.A. thesis, State University of Iowa, 1938. Florence Hudson Botsford, comp. and ed. Folk songs of many peoples, with English versions by American poets. New York: Womans Press, 1921-2, 2v. (OCLC 1021201); 1921-31, 3v. (OCLC 21514222). Vol. 2 contains 8 Native American songs. Brown, James Duff. Characteristic songs and dances of all nations, ed. with historical notes and a bibliography by James Duff Brown; the music arranged for the pianoforte by Alfred Moffat. London: Bailey & Ferguson, 1901, 1921, 286p. (OCLC 29110039). Includes a Cherokee Cradle Song and Dakota Indian Scalp Dance. Burdick, U.L. Last Battle of the Sioux Nation. Stevens Point, Wisc. : Worzalla, 1929. Buttree, Julia M. The Rhythm of the Redman. New York: Barnes, 1930. Art, dancing, and songs for many tribes. Cadman, Charles Wakefield. Idealization of Indian Music. In Musical Quarterly, 1:387-96 (July 1915). A defense of harmonization of unison Native American chants. Catlin, George. North American Indians. 2 vols. London: 1841. Vol. 2 describes the Sioux Dog Dance. 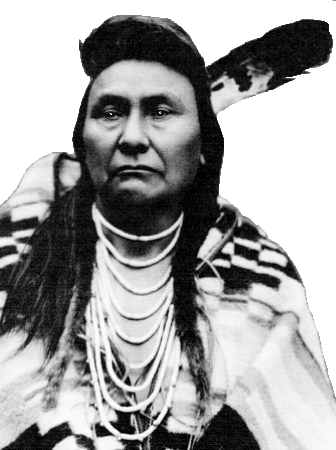 Chief Standing Bear. My People the Sioux. Houghton Mifflin, 1928. Contains a biography of Chief Standing Bear, a source for Sioux dances. Curtis, Natalie. American Indian Cradle Songs. In Musical Quarterly, 7:549-58 (October 1921). Nothing on dance. Curtis, Natalie. Eagle Dance Drama. In Musical Quarterly, 6:175-8 (April 1920. Eagle dance of the Southwest, collected at San Ildefonso Pueblo. Curtis, Natalie. Indians' Book. New York: Harper, 1907. Illustrated. Densmore, Frances. American Indians and Their Music. New York: Woman's Press, 1926. Contains sections on dance. Densmore, Frances. Teton Sioux Music: U.S. Bureau of American Ethnology Bulletin 61. Smithsonian Institution. Instructions, music, and illustrations of Sioux music and dance. Densmore, Frances. Rhythm of Sioux and Chippewa Music. In Art and Archeology, 9:59-67 (February 1920). Contains lyrics for Sioux Sun Dance. Densmore, Frances. Study of Indian Music. In Musical Quarterly, 1:187-97 (April 1915). Dorsey, George A. Sun Dance of the Arapaho: Field Columbian Museum Anthropological Series No. 4. 228p. Illustrated. Espstein, Lena. An Annotated Bibliography of the Dances of the Indians of the United States of America. M.A. project, New York University, 1936. Etude Magazine, 38: (October 1920). Issue devoted to American Indian music. Evans, Bessie, and Evans, Mary G. American Indian Dance Steps. New York: Barnes, 1931. Music, instructions, and illustrations for authentic dances. Fletcher, Alice. Indian Ceremonials and Sports. Boston: Burchard, 1915. Fletcher, Alice. Indian Story and Song. Boston: Small, Maynard, 1900. Gordon, Dorothy. Sing it Yourself. New York: Dutton, 1928. Contains 5 Native American songs. Grows, Pearl. Sociological Aspects of the Crow Indian Dances. M.A. thesis, State University of Iowa, 1942. Horrigan, Olive K. Creative Activities in Physical Education. New York: Barnes, 1929. Chapter 8: American Indian Games and Dances. Judson, Katharine Berry. Myths and Legends of the Great Plains. Chicago: McClurg, 1913. No music or dance content. Kluckhohn, Hill, and Kluckhohn. Navaho Material Culture. Cambridge, Mass. : Belknap, 1971. Max, McD. Sun Dance. In Overland, 67:138-40 (February 1916). Description of the ceremony, last performed in 1890. Nevin, Arthur. Two Summers with the Blackfeet Indians of Montana. In Musical Quarterly, 2:257-70 (April 1916). Description of Sun Dance. Packard, Gar and Maggy. Southwest 1880 with Ben Wittick, Pioneer Photographer of Indian and Frontier Life. Santa Fe, N.M.: Packard, 1970. Shafter, Mary Severance. American Indian and other folk dances for schools, pageants and playgrounds. Music arranged by Josephine Condon. New York: Barnes, 1927, 77p (OCLC 1488072). Includes South Dakota and North and Central California tribes. Sun Dance Ceremonial. In Outlook, 97:65-6 (January 1914). Description, no music, no illustrations. Tait, W. McD. Indian Dances. In Overland, 65:89-90 (January 1915). Brief descriptions of many dances. United States Bureau of American Ethnology. Study of the Siouan Cults: Eleventh Annual Report on the Dakotas. Contains description of the Sun Dance with context.